One week after celebrating the first anniversary of T-Mobile Tuesday, the nation's third largest carrier will continue giving out freebies and sending out prizes to contest winners. Last week, the contest prizes alone had a valuation of nearly $1,000,000. And that didn't include the hourly prizes that were being awarded on Twitter. The wireless operator gave away 100 LG G6 handsets to first prize contest winners, and some additional units were used as prizes in the hourly Twitter contest. 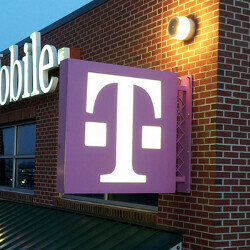 This coming Tuesday, T-Mobile subscribers get a free three-month membership to ShopRunner. With this subscription, you can get free 2-day shipping on qualifying purchases made at more than 140 retailers. If you already are a member to the to the service, you will get to extend your subscription by three months for free. This Tuesday only, T-Mobile subscribers can get 25% off the purchase of the LG Tone wireless headset from T-Mobile, either online or in the store. This Tuesday, stop at Baskin-Robbins and buy a classic sundae, and you can get a second one for only 99 cents. Lastly, T-Mobile subscribers will receive this Tuesday, a one-month Xbox GamePass subscription. As for the weekly contest, one Grand Prize winner will receive a 65-inch 4K television, an Xbox One S magenta console, an exclusive T-Mobile branded magenta Xbox controller, and a check for $1,414. The latter can be used at the winner's discretion to pay taxes on the prize, or for anything that the winner desires. Fifty First Prize winners receive an Xbox One S console and an Xbox One wireless controller. One Hundred Second Prize winners will be given a wireless Xbox One controller. Overall, 151 prizes will be handed out to contest winners. The value of these prizes comes to $32,214. Fix your source link...it clicks through to Amazon, not T-Mobile.